This page is for anyone who might like to find out more about the Catholic faith, or join the Catholic Church. Your enquiries are always welcome. Jesus said ‘I have come that you may have life and have it to the full.’ A Christian is someone who has chosen to receive life to the full by following Jesus. We accept his teaching and believe that he died and rose from the dead, and that he remains alive and active in the hearts of those who love him. We believe that the Holy Spirit helps us to live closely as friends of God, and to share the Good News with all people. We do this as members of the Catholic Church. The word Catholic means ‘universal.’ The Catholic Church exists in every country and invites people of all backgrounds and races to be a part of it. It is founded on the Word of God in the Bible, and God’s revelation over the ages, found in the teaching of the Church. It stands for the Christian message of love and justice, and hopes by the power of the Holy Spirit, to be a light of faith and truth in the world. How do Catholics live out our faith? Catholics are part of communities of faith – parishes, where we encourage and help one another to live as Christians. We meet each Saturday night or Sunday to celebrate Mass. In the Mass we come together to pray, hear the Word of God and celebrate Eucharist – the memorial meal of the Last Supper of Jesus. Here through sharing the bread and wine, which have become for us the Body and Blood of Christ, we are given grace and strength, and, in turn, hope to become the real presence of Christ in the world. Catholics pray, and are guided by the scriptures (Bible) to try to live according to the law of love set out by Jesus every day. We are not perfect, but are all on a journey towards God –and we believe in God’s forgiveness, and an unlimited supply of new beginnings. What kind of people become Catholics? In recent years lots of people in the Diocese of Cork and Ross have expressed interest in becoming a Catholic. About 60 people have joined the Church over the last 5 years, or are in the process of doing so. These people have come from a variety of backgrounds. Some are getting married to Catholics, and became interested through their partner. Some came from other Christian traditions, and others from other faith traditions or none. Newcomers in the past three years have come from countries in Europe, Africa, and Asia – as well as Ireland. All express a need for something deeper in their lives, and have come to faith in Jesus. Can I find out more without making a commitment? Yes. No-one expects you to be ready to sign up on the first day! The Church encourages people to come to an informed decision in their own time. Your own views, feelings and beliefs will be absolutely respected. You will never be put under pressure or rushed into anything. How do I approach the Church? Most people approach a Catholic friend or a priest in their parish. You can also make an approach through the contact details on this website. No. There is no cost at any stage. Someone will meet you and talk things over with you. You will be invited to meet with a group of ordinary Catholics in the parish where you live. These are people who have thought about their faith, and are happy to meet with others to discuss faith and spirituality. If you decide to go ahead, they will assist you until you receive the sacrament of Baptism, Confirmation and Holy Communion usually at Easter. Will I have to learn a lot of information? In the past, people who became Catholics as adults focussed on questions and answers. The Church made a change to that by introducing the Rite of Christian Initiation of Adults (RCIA) in 1972. The best way to come to know Catholic Christianity is not by questions and answers but by meeting other Catholics and finding out about their faith and what it means to them. God has been present in the life of each person already, and that people coming into the Church have much to offer, as well as receive. The community can support and pray for people who are preparing to become Catholics. Coming to faith is a lifelong journey of growth. For these reasons, the process of becoming Catholic will focus more on coming to know Christ in the scriptures, and getting to know the Catholic community. There will also be plenty of information, and your questions will be answered – but there is no examination at the end! It will go at your pace. You can expect it to take around 12 months from your first enquiry. While some people take this time – others take a couple of years or more. There is no hurry, and everyone is different. What if I have been baptised in another Christian tradition? The Catholic Church accepts the Baptism of most Christian traditions. 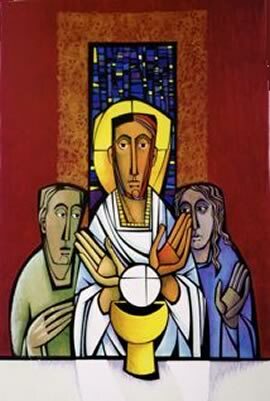 To become a Catholic you will receive the sacraments of Confirmation and Eucharist (Holy Communion). What if I have been married before? The Catholic Church does have rules about marriage. Please bring up this issue when you approach your priest. It is not always as complicated as you might think, and every effort will be made to understand and accommodate your situation. The Catholic Church in Cork and Ross Diocese is quite new to this way of welcoming newcomers! It may be that when you approach someone about finding out more about the Catholic faith they are surprised, or don’t feel confident as to what to say or do. Please bear with us, and be persistent – and be assured that you’re welcome! It is Christ who calls you, and it is a privilege for us to assist you.